At Insure My Villa we specialise in Overseas Property Insurance for ex-pats who either live permanently abroad or own a property overseas and need Holiday Home Insurance. 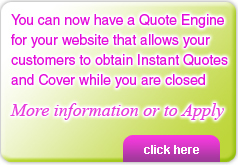 We have developed this website to provide you with all the necessary information you may require regarding Overseas Home Insurance and you will be able to obtain instant online quotes and cover. Overseas Home Insurance is our business, so let us take care of your individual needs.